Is Shale Gas the Answer? What’s in store for U.S. energy and environmental policy? 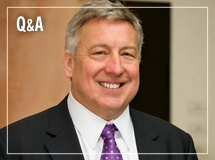 In this Q&A, Bill Tyndall discusses the potential for federal regulation of carbon dioxide. Q: How likely is it that the U.S. Congress will take action on climate change in 2010? A: Three U.S. senators representing a diversity of views – Senators Graham, Kerry and Lieberman – are actively trying to develop a bipartisan approach that could secure the 60 votes needed for the passage of a bill in the Senate. Regardless, this issue is not going away. We expect Congress or the U.S. Environmental Protection Agency (EPA) to regulate carbon emissions as early as 2011. Q: What role is the EPA playing in regulating carbon? A: In late 2009, the EPA issued an “endangerment finding” that characterizes greenhouse gases like carbon dioxide as a threat to public health and welfare. The agency is expected to issue greenhouse gas standards for automobiles by mid-2010. These two acts will trigger permitting requirements for stationary sources of carbon dioxide – such as power plants – under the New Source Review and Operating Permit provisions of the Clean Air Act. However, the EPA has already indicated that it will delay implementation of these permitting requirements until at least 2011, and perhaps beyond. Q: Why is federal legislation preferable to EPA rulemaking? A:Congress can create a carbon reduction program that encourages industry to identify and implement new energy technologies, minimizes the financial burden on consumers and our economy, and creates rather than eliminates U.S. jobs. The EPA simply does not have the flexibility or tools in the Clean Air Act to create this kind of program, and has even acknowledged that legislation is the best way to tackle the issue. Q: What does Duke Energy need most from national energy policy reform? A: We need a coherent and workable domestic energy policy – one that allows us to modernize and decarbonize our power generation fleet while still delivering affordable and reliable energy. Power plants are expensive and often require long lead-times for construction. This is true for plants fueled by uranium, coal, gas and even some types of renewable resources. The choices we make today must stand the test of time, so clear “rules of the road” are essential to help us make sound long-term decisions. Given the stake we have in energy policy, we will continue to engage constructively in the debate to help protect the interests of both our customers and investors.